This weeks COTW I had to feature not only because of the fact it's a great image, but for all of the symbolism included and the thought that went into it. Ok, we'll kick off with the usual stuff. The shading is excellent. There is a chance that when you do shading with near full alpha settings, you can end up with shading that looks messy and horrible, which is why I tend to prefer using at most 75% alpha on the shading circle, but Therianthrope has a knack of actually making it work. The shading on the face is a very good example of this, as well as a good example of adding depth without using the standard black. The face looks incredibly realistic and the expression just draws you in. However, while we're on the shading, I do think he missed a trick by not putting a shadow underfoot of the character and the skull beneath the left foot, it makes the character look slightly divorced from the background at the point they meet. My favourite part of the image is not the shading though, it's actually the left hand. It's so stupidly simple, but I haven't actually seen those two hands used together in that way before. It's impossible to mask to the palm up hand that is used as the back part of the hand here, or at least impossible to mask in a way that looks good, so using the grasping fingers makes sense. But I haven't seen it before. Maybe it's just no-one has had need to use those items in that way, but I had to make mention of it because it just works so well and I will be borrowing that idea at some point in the future. 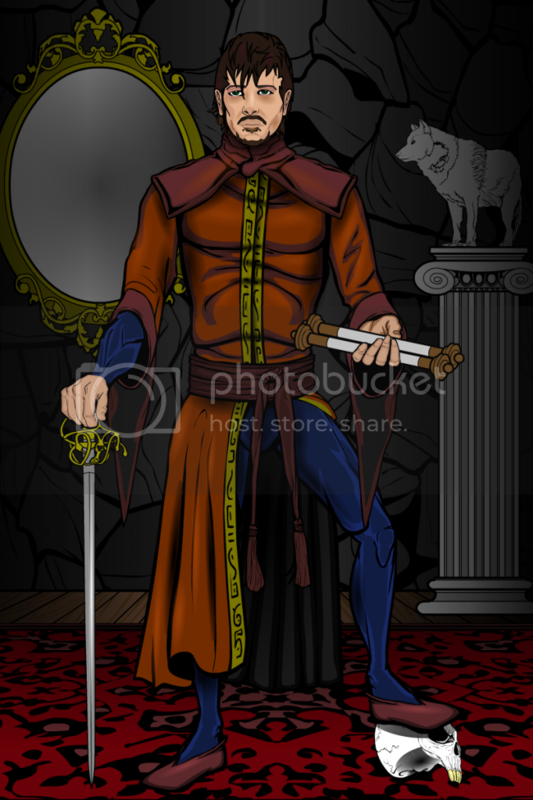 "The rapier standing for his clans strength – wielded with finesse, the scroll standing for his learned status, the mirror in the back indicating his wealth, the statue of the wolf indicating he is Cainite, and the skull under his left foot is for his clans mastery over death (they’re necromancers)." I love all of the thought that was put into all of the little details and inclusions in here. Everything has a place and a meaning, nothing is out of place or needlessly included. It just works. Wow! What a wonderful piece of art. Love this. Congratulations therianthrope!. And JR, I love the Character Of The Week as a regular returning posts to allow us to see such wonderful creations of HM and it’s skillful users. Very insightful and useful comments. Also good work! And thanks for the kind words, cliff. Yeah–T? Don’t tell him where MY folks are buried. Nice work. 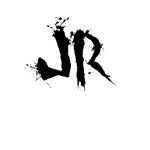 JR? Ditto on that glad to see these popping up.